Scotch whisky prices could be set to rise in some countries as a result of the UK’s decision to leave the European Union, the Scotch Whisky Association (SWA) warned today. Calling for a post-EU UK trade policy that is ‘as open and free as possible’, the SWA – Scotch whisky’s umbrella trade organisation – is also asking the UK Government for ‘broad clarity’ on future arrangements with EU markets. Scotch whisky will continue to enjoy tariff-free access to EU countries, the SWA said (thanks to WTO rules), and also in many other countries, including the US, Canada and Mexico. Furthermore, in countries where import tariffs are already high – such as India – leaving the EU will not make matters any worse. But the same cannot be said for countries with which the EU has already negotiated free trade agreements (FTAs), the SWA pointed out. ‘The UK will eventually lose access to the EU’s FTAs,’ it said. ‘Unless there are transitional arrangements, Scotch will lose significant tariff reductions in certain markets – notably [South] Korea, South Africa, and Colombia and Peru. One solution might be for existing EU FTAs to be ‘grandfathered’ post-Brexit – in other words, they would continue to apply to the UK after it leaves the EU. This, however, would require agreement both from the EU and from the third-party countries involved. The SWA’s comments come following a period of consultation with its members – comprising the vast majority of Scotch whisky producers – following the UK’s Brexit vote on 23 June. There were also some ‘major uncertainties’ as a result of the vote, the SWA warned, particularly as it was currently unclear whether the UK would have European Economic Area (EEA) status in future (like Norway), or a more distant relationship based on an FTA with the EU (like Canada or Switzerland). This distinction was crucial, it said, as many of the rules for Scotch were made at European level – and, if these laws had to be rewritten, ‘it will make Brexit more complicated, and the industry will need to start planning now’. ‘We are calling on the UK Government to bring clarity to the transition to Brexit as soon as possible, and to negotiate to ensure that the current open trading environment is not affected,’ said David Frost, SWA chief executive. ‘Finding practical ways forward on export practicalities and on free trade agreements should be high on the agenda as negotiations begin in the coming months. David Frost will become a special advisor on foreign affairs to the UK Foreign Secretary. ‘Significant uncertainty’ will follow UK vote to leave EU, warns Scotch Whisky Association. 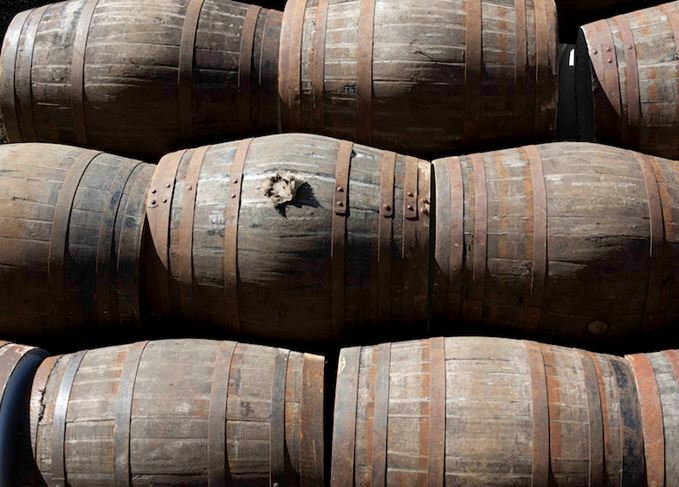 Would leaving the EU boost Scotch whisky? As the polls narrow in advance of the Brexit vote, would a UK departure give Scotch whisky a boost? The sector’s net annual contribution of £3.8bn to UK trade makes case for duty cut, says SWA. A UK exit from the European Union risks huge damage to the industry, says government minister.